Matthew is an epidemiologist and has done research in South Africa, East Africa as well as with international organisations in Switzerland and Belgium. As an alumnus of the Faculty of Health Sciences (MBBCh 1998 & DTM&H 2002), Matthew has strong research links with the University including posts at the Reproductive Health and HIV Research Unit, and Perinatal HIV Research Unit. He has about 110 publications, seven academic qualifications from leading institutions (including a doctorate in medical science) and international standing as a researcher and technical writer. Matthew also holds an appointment as Visiting Professor in the Department of Obstetrics and Gynaecology at the University of Gent and frequently provides technical advice to WHO and other international organisations. 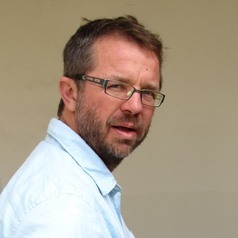 Research interests include maternal health and prevention of mother-to-child transmission of HIV; investigation of associations between alcohol, sexual behaviour and HIV; and the prevalence and meanings of vaginal practices in Africa, and their relation to HIV acquisition.